Home or Office Fire & Smoke Disaster: Who do I call? Who do I entrust? If you’re in need of fire damage clean up and restoration in Bonita Springs, Florida, look no further than the professionals at Mr. Dry Services. With over 30 years of experience Mr. Dry Services; a locally owned and operated business opened in SW Florida in 1999 after relocating from the east coast of Florida. You will work directly with Mike Brigandi (Big Mike) and his highly trained professionals, working for you and with you from the very start including insurance claims, just like Big Mike has for the past 30 years. 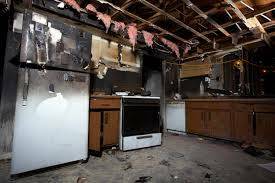 From Fire to Smoke damage inspection, estimating and through repair and remodeling rest assured we will be with you every step of the way through completion. We became leaders in our industry and community over the years during natural disasters like wild fires and lightning strikes and home & business accidents and malfunctions that have caused significant fire & smoke damage. With a determined dedication to helping families and businesses rebuild like new. 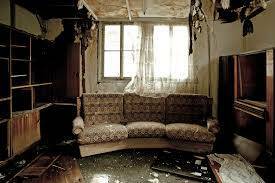 Suffering from fire damage is one of the worst experiences a property owner can endure. Fire and smoke can cause considerable damage to the structure and its contents. The smallest fires can leave soot residue on your personal belongings. It is our top priority at Mr. Dry Services to help you get your normal life back as quickly as possible. Your Mr. Dry Services State of Florida Licensed team consists of highly seasoned and trained technicians in handling even the most severe fire, smoke & soot damage. We will do a thorough onsite inspection and will begin working directly with your insurance provider keeping you (our clients) best interest as out top priority. Why is it important to use a four-step process? Fire, Smoke & Soot Restoration is our specialty. We have processes and techniques designed to help salvage as many of your personal belongings as possible while removing the smoke and soot from them. We also have services available to pack, move and store your belongings while restoration repairs are made. 1) Assessment – Assessment of the damage and create a restoration plan. 2) Damage Control – Seal off areas not affected to prevent secondary damage from smoke & soot. 3) Personal Belongings Collection/Protection – We inventory your valuables to be cleaned/restored. All items are carefully accounted and labelled. 4) Securing, Cleaning & Restoration – Perform all cleaning and repairs outlined in the restoration plan to ensure the highest attention to detail and workmanship is accomplished. If you find yourself in need of a fire & smoke damage restoration company, please choose Mr. Dry Services a trusted family owned business in your community with over 30 years’ experience.